San Francisco is a hub of technology where innovators create smarter fitness apps, faster live streams, and personalized shopping experiences; It was only a matter of time before we saw technology innovation come alive in our fitness equipment. Sebastien Lagree, fitness visionary and creator of The Lagree Method, believed the same 15 years ago when he said, “You don’t need more time in a workout, you just need more intensity,” and, with that, a new machine was born. Over the last 15 years, Lagree’s equipment has seen a progression from thick to slick, allowing faster transitions and maximum exertion with little risk for injury. We are RAMPING up the machines at select studios with Lagree’s newest innovation, where you’ll see increased caloric burn, decreased joint impact, and higher workout efficiency overall. Lagree is known for his fitness innovations, and his new vision and development came to life as, “The RAMP,” which mechanically sets the Megaformer on different incline levels. When we asked him how the incline might affect muscle gain and caloric burn, Lagree noted that an added resistance of your own body weight, due to the incline, increases the intensity overall, which “raises the Heart Rate on an average of 25 to 40 BPM higher than working on the flat level.” Some RAMP participants have experienced a heart rate over 210 BPM, which is incredible for caloric burn in such a low impact and strength-focused workout. Most workouts that increase BPM and focus on muscle gain (running, boxing, Crossfit etc.) are also high impact, which means they’ll wear your joints down over time; having an option for maximum exertion with little risk of injury is something we really strive for and admire about the new ramp. At this point you might be thinking, “CORE40 is intense enough, why would you make it harder?” and it’s a great question. 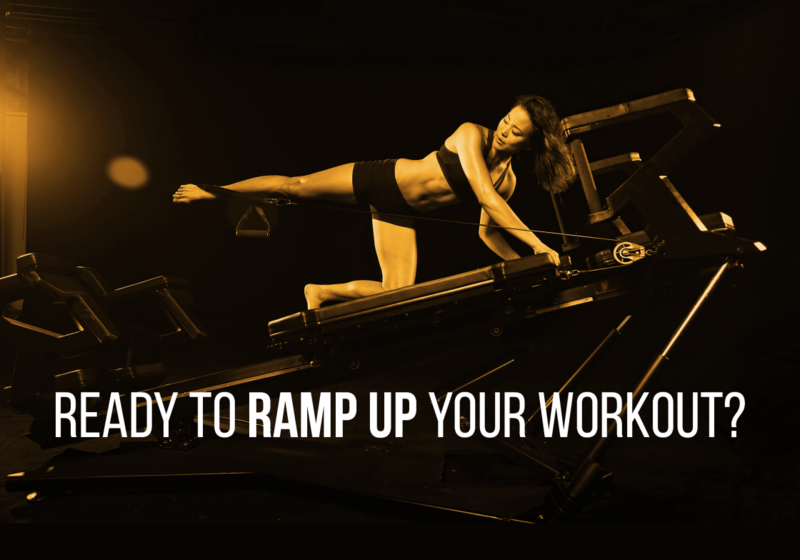 We’re getting RAMPED because the incline not only increases intensity, but it also changes the angle of the exercises, which reduces repeat stress on your joints and connective tissue. Basically, the different levels allow you to work out different areas of your body at once more effectively and with less stress on your joints. Our vision of transformational fitness is to give you a great workout in less time, with less stress on your joints, and in a community that has your back. We deliver the most effective and safest workout available and we will continue to innovate as technology moves fitness forward. If you are new to Lagree and want to try a CORE40 RAMPED class, we encourage you to take a Full Body class first, though it’s open to all levels (just come prepared to be sore for days! ).